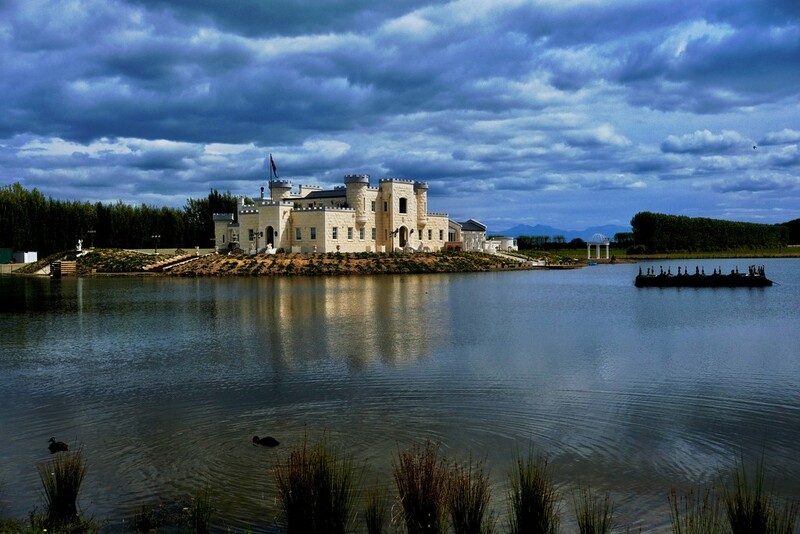 This is "Dot's Castle' in North Otago which has just been finished. To be proud of - its an amazing exterior and the interior is even more. We stopped at Riverstone for lunch on our way north. On the road again. 1. Agria chips thrice cooked. 2. I forgot my card reader but was able to buy another one in a nearby town. 3. Lost contact with Yolanda but I daresay she will appear sooner or later. I might have to put a APB on her if she doesn't turn up! What an amazing place. You'll probably find Yolande has found her way in and is living the life!! I recently read about Dot's Castle, she is quite a lady isn't she. I could see Yolanda exploring here quite happily. looks like some kind of lego fairytale castle. Quite spectacular with the beautiful lake and sky context that you have captured here. How extraordinary, what's the story? Hope you find Yolanda soon. Wow... it's beautiful! Great image. A magnificent image and wonderful cloudscape. @Dawn you are right! And in magazines etc! I just don’t know how she does it! What a beautiful place - I'd love to live there!! If I wasn't absolutely certain it's 2019 I might think I'd stepped into another era upon seeing this. Good shot! Wonderful shot, maybe one of your best! I'm troubled by the sky thought. What a stunning shot! The lighting on the beautiful castle against that dramatic sky is just terrific! The clouds and light on the castle are so beautiful! A lovely image of the completed castle after many years of construction. A few years ago @julzmaioro and I were looking forward to lunch at Riverstone - only to find it was closed on the day we were travelling past! This is a gorgeous scene! Fav! So happy rto see this on the TT So very worthy! So beautiful! Congratulations on the TT! Such a beautiful castle :) Congratulations on TT. A fav & follow from me! Delighted to see this on TT, congratulations Maggie!